All fabric belts are handmade within Paolo Da Ponte Italia's firm in Bassano Del Grappa. 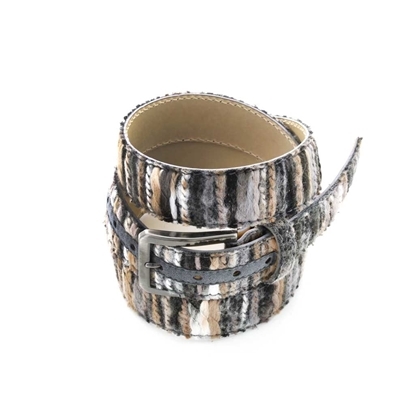 The buckles are carefully selected and nickel-free tested. All fabric belts are ready to be easily shortened. 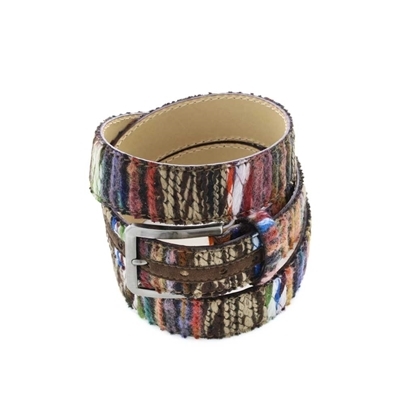 Colorful patterned wool fabric belt - Sewed belt - Calf leather lining - Burnished glossy nickel free metal buckle - Handmade in Italy - Width 3,5 cm. - Adjustable size - Made of 40% wool/30% polyethylene/30% acetate. Michele Baggio is a registered trademark owned by Paolo Da Ponte Italia S.r.l. 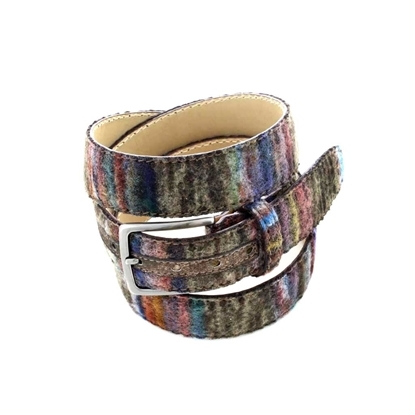 Colorful wool fabric belt - Sewed belt - Calf leather lining - Burnished glossy nickel free metal buckle - Handmade in Italy - Width 3,5 cm. - Adjustable size - Made of 40% wool/30% polyethylene/30% acetate. Michele Baggio is a registered trademark owned by Paolo Da Ponte Italia S.r.l. 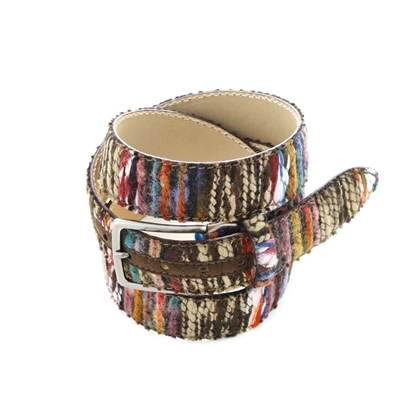 Multicolor patterned wool fabric belt - Sewed belt - Calf leather lining - Burnished glossy nickel free metal buckle - Handmade in Italy - Width 3,5 cm. - Adjustable size - Made of 40% wool/30% polyethylene/30% acetate. Michele Baggio is a registered trademark owned by Paolo Da Ponte Italia S.r.l. 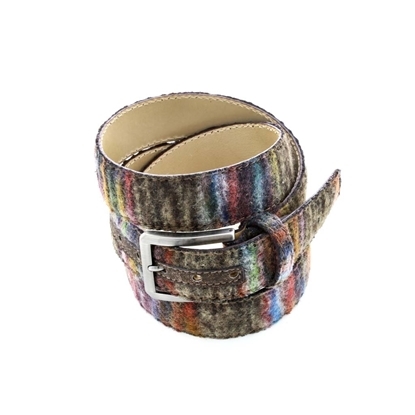 Multicolor wool fabric belt - Sewed belt - Calf leather lining - Burnished glossy nickel free metal buckle - Handmade in Italy - Width 3,5 cm. - Adjustable size - Made of 40% wool/30% polyethylene/30% acetate. Michele Baggio is a registered trademark owned by Paolo Da Ponte Italia S.r.l. 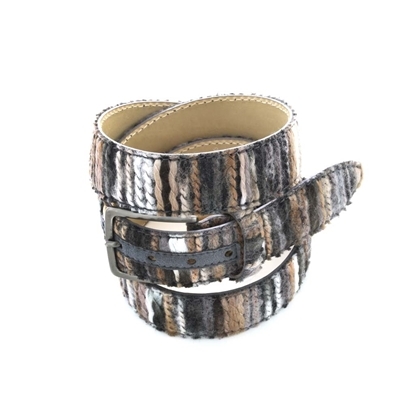 Patterned wool fabric belt - Sewed belt - Calf leather lining - Burnished glossy nickel free metal buckle - Handmade in Italy - Width 3,5 cm. - Adjustable size - Made of 40% wool/30% polyethylene/30% acetate. Michele Baggio is a registered trademark owned by Paolo Da Ponte Italia S.r.l. Shade of grey patterned wool fabric belt - Sewed belt - Calf leather lining - Burnished glossy nickel free metal buckle - Handmade in Italy - Width 3,5 cm. - Adjustable size - Made of 40% wool/30% polyethylene/30% acetate. Michele Baggio is a registered trademark owned by Paolo Da Ponte Italia S.r.l. 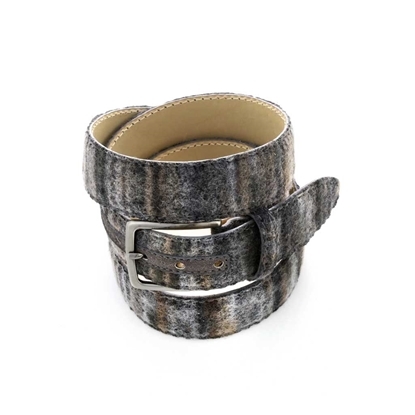 Wool fabric belt - Sewed belt - Calf leather lining - Burnished glossy nickel free metal buckle - Handmade in Italy - Width 3,5 cm. - Adjustable size - Made of 40% wool/30% polyethylene/30% acetate. Michele Baggio is a registered trademark owned by Paolo Da Ponte Italia S.r.l.